Hey I bet you thought I disappeared! Well you could say I was Frolicking! My husband was home so we spent some quality family time together during the holidays. But there is a new kit out that I want you to know about. 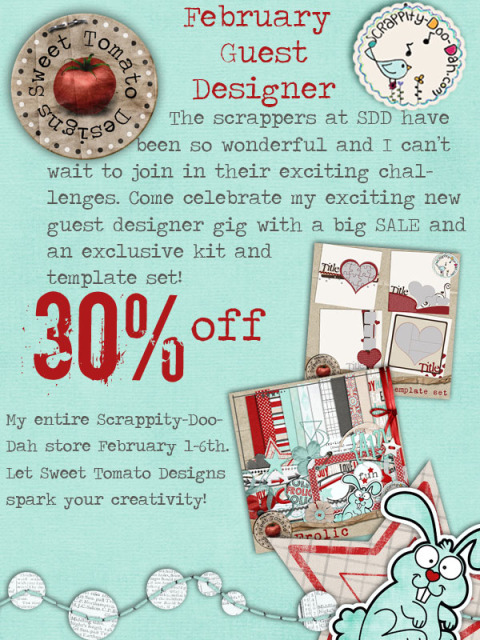 Sweet Tomato Designs is having a Guest Designer Spot over at Scrappity-Doo-Dah this month. And as a part of this she has this exclusive kit called Frolic. I used it to document what at first looks like not the best photo because it is blurry. And after I took the picture I wonder how it would look in a page and for a while I worried about the fact I didn’t have the “perfect” picture for this moment. The moment was of my first daughter, my Angela Faith, who is flying in heaven right now. We went to a local school’s festival and although she was not able to get on the kids rides, she loved to watch them. Sunday (1/30) she would have been 9 years old. So although it has been a bit hard this past weekend; creating this page actually helped. 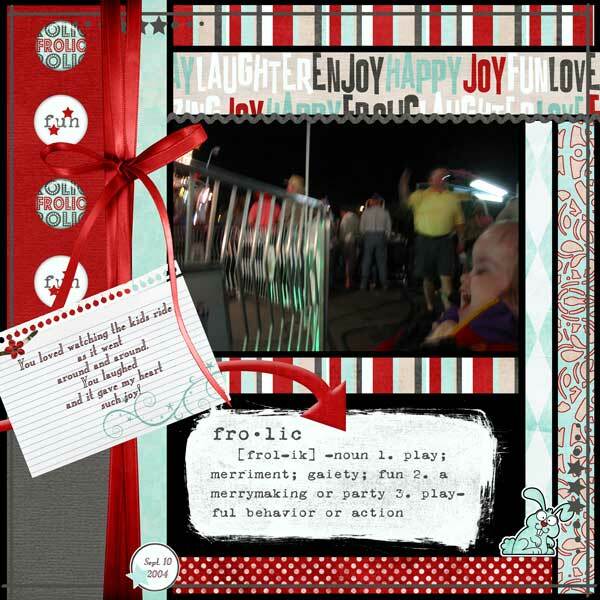 I based off with a template from Chrissy W that she gave away as a freebie on her blog, called Freebie Template #54. Angela loved to watch the lights, she loved the music of the ride and to be honest I think she just loved being out and about. Living with a child with a disability, that for simplicities sake I’ll say is related to Cerebral Palsy, it was not always the easiest to get out an about with her; but we were getting there. And since we live where there were not many opportunities like this school festival, we took advantage of it for her to experience. I know posts like this or topics such as loss are not so easy to read about sometimes. But this is my life reality. And my scrapbooking is my therapy. And Angela and her sisters have been such a joy that I love to share those sometimes not so perfect pictures that have that perfect memory. I hope you will visit Sweet Tomato’s shop and see what perfect memories you can have fun and Frolicwith! Next Post Are you tired of Winter yet?